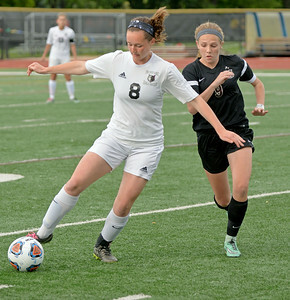 Bill Ackerman - for Shaw Media Prairie Ridge's Emily Perhats (right) clears the ball away from Wheaton Academy's Gretchen Pearson in a 2A girls soccer supersectional at Concordia University in River Forest on Tuesday, May 30, 2017. Prairie Ridge lost, 2-1. 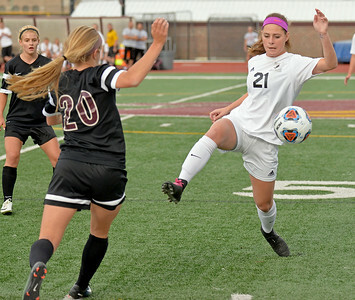 Bill Ackerman - for Shaw Media Prairie Ridge's Olivia Ott (5) gets a foot on the ball while Wheaton Academy's Gretchen Pearson (left) tries to block her kick in a 2A girls soccer supersectional at Concordia University in River Forest on Tuesday, May 30, 2017. Prairie Ridge lost, 2-1. 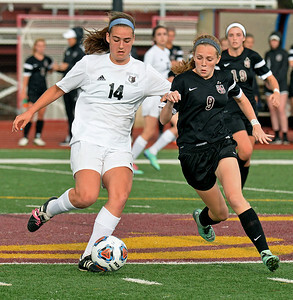 Bill Ackerman - for Shaw Media Prairie Ridge's Nicole Anderson (left) and Wheaton Academy's AC Hardy battle for a 50-50 ball in a 2A girls soccer supersectional at Concordia University in River Forest on Tuesday, May 30, 2017. Prairie Ridge lost, 2-1. 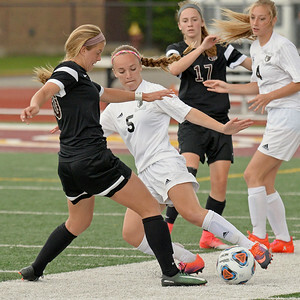 Bill Ackerman - for Shaw Media Prairie Ridge's Hannah Stovall (left) protects the ball from Wheaton Academy's AC Hardy in a 2A girls soccer supersectional at Concordia University in River Forest on Tuesday, May 30, 2017. Prairie Ridge lost, 2-1. 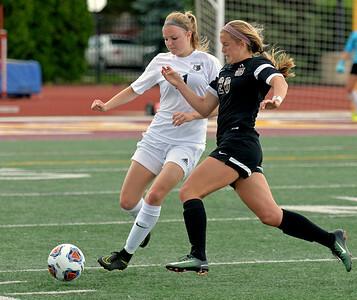 Bill Ackerman - for Shaw Media Prairie Ridge's Sarah Ripple (left) is a step ahead of Wheaton Academy's Gretchen Pearson in a 2A girls soccer supersectional at Concordia University in River Forest on Tuesday, May 30, 2017. Prairie Ridge lost, 2-1.